After using the iPad for a week there was a handful of things I had questions about, mainly interface elements that appear to be different between the iPad and the iPhone. iPad: The Missing Manual went a long way towards making me a power user of both the iPad and the iPhone. The largest leap for me was learning that pausing on many of the keys on the keyboard will present other keys, sometimes they are accents and sometimes they are shortcuts to totally different keys. Very cool. 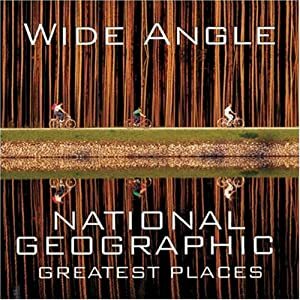 I like the way the book is organized, it is easy to find information you have already skimmed, and easy to use as a reference with clear table of contents. I really appreciate the iTunes coverage, I would not initially think about this in a book about the iPad, but for users who are not familiar with iOS these sections are invaluable. iTunes is an integral part of working with and enjoying any iOS device like the iPad, iPhone, or iPod, and this book does a great job of explaining how the iPad and iTunes interoperate. I rate this book a 7 out of 10 and highly recommend this book for iPad users that are new to iOS devices, but if you are an iPhone user you may want to skim the book in a store before paying for it. 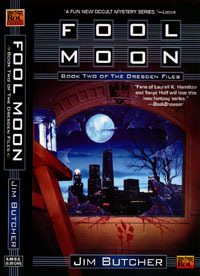 I am really enjoying these books by Jim Butcher as read by James Marsters for Buzzy Multimedia and purchased from Audible. This is the book where the pace of the novels changes; there is a lot more action and sexual content. The book reads more like a good action movie than the previous novels. For me the involvement of Michael’s wife in this book ads a lot of emotion to the story which balanced out the action. I rate this book an 8 out 10. Posted in Books. Tagged books. A few years ago I asked some science fiction authors at DragonCon what book they had read recently that they really enjoyed. I was surprised when more than one of them said “Storm Front” by Jim Butcher. 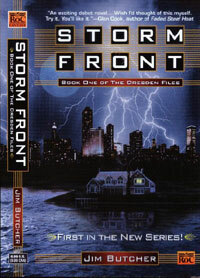 I am sorry it has taken me so long to begin reading the Dresden Files series; I should have taken their advice and read Storm Front much sooner. I am reviewing these books together as I listened to them as audio books from Audible one right after another; I am currently listening to book three. The audio books are read by James Marsters who also played Spike on the TV series Buffy the Vampire Slayer. James is such a great actor that I could not picture him being the reader even though I have met him at DragonCon a couple of times. He creates voices for the characters that really bring them to life for me. 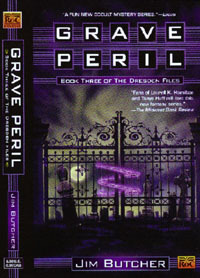 The Dresden Files centers around a Wizard named Harry Dresden that lives in a world very much like ours but where magic, spirits, demons, werewolves, vampires, and such walk the street and cause all sorts of trouble. He offers his services to the public similar to a private investigator but also works as a consultant for the Chicago police. I think of them as modern paranormal detective fantasies. I rate these books a 9 out of 10 and recommend them for anyone who enjoys any of these genres: paranormal, detective, or fantasy.